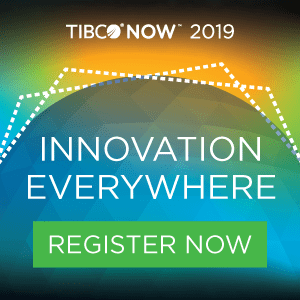 TIBCO NOW 2018 kicked off today with five vertical breakout sessions centered around innovation at the edge in banking, insurance, manufacturing, energy and travel & transportation. 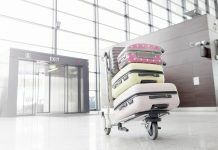 Across all industries, the themes focused on how modern infrastructure technology and real-time, advanced analytics can enhance customer journeys and user experiences, while optimizing operations and lowering costs. Customers from FedEx to JetBlue shared their stories of innovation, sharing insights and best practices on how others could benefit from their experiences. Read more in our spotlight blog. The financial services session focused on how retail banks can achieve profitable growth through customer focus. While aggressive FinTechs did their best to pick off highly profitable segments and sectors, established leaders leveraged their own strengths of data, customers, and networks to digitize and transform. Customers Morgan Stanley, US Bank, and First Citizens Bank were on stage in the panel discussion sharing insights and best practices around how they manage and operate their innovation efforts in-house and how they deal with regulatory compliances, and how they address risk with respect to innovation. From the insurance segment, specific use cases of algorithmic insurance were a main highlight. Customers AA Ireland, MetLife, and Nationwide talked about the value of data and analytics, as well as the use of Grid Server computing that helps them provide dynamic, real-time offers. 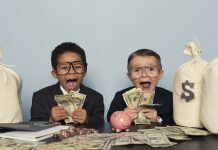 It also helps them market to lower-risk higher return scenarios. The use of the IoT in smart manufacturing and energy was a hot topic. Customers spoke about how data can fuel innovation with the help of real-time, streaming, and predictive analytics. 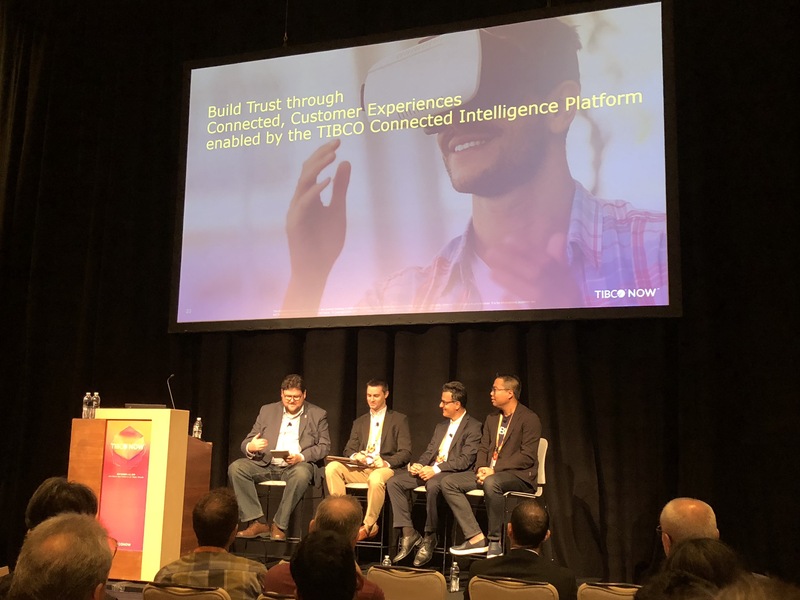 Customers Hemlock Semiconductors, Biogen, Western Digital, Endesa/ENEL, HESS Corporation, and Apache all shared their respective use of TIBCO Integration and Advanced Analytics solutions via the Connected Intelligence Cloud platform. In these segments, cost and quality pressures are driving customers to evolve from reactive problem solving to being proactive and have predictive control of their data to achieve operational excellence. They achieve this by the use of sensors and IoT for real-time monitoring and decisions, and advanced analytics for modeling, simulations, and digital twins. And finally, the travel and transportation breakout discussed how customers in this segment can augment their passenger journeys and customer experiences by building trust through optimised operations. Customers FedEx, the Airport of Rome and JetBlue shared their stories of innovation.